Farrell was officially named manager on Sunday. Then, Bogar was fired and Torey Lovullo was hired as our new bench coach. In terms of moves, nothing big has happened yet, obviously. Mike Aviles was traded to Toronto for Farrell, so we are in shortstop limbo yet again. Ben met with Shohei Otani, an eighteen-year-old Japanese phenom who, if acquired, will hopefully pan out exponentially better than Dice-K did. And last but not least, the brass is negotiating a deal with Ross and with Papi. 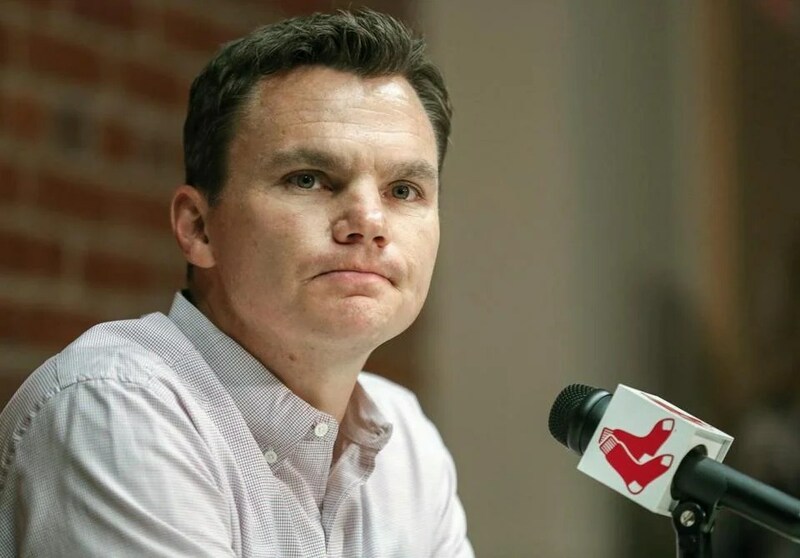 The deal with Papi is probably going to be a long one, one that would most likely allow him to retire with us if he chooses to do so at that point. In other news, the Pats beat the Jets in yet another close one, 29-26. Not much has happened since our slog of a season ended, but what did happen should be surprising to anybody. Our first order of business was dismissing Bobby Valentine, which we did last Thursday. This is something that was entirely predictable, appropriate, and correct. We all know that he shouldn’t even have been hired in the first place. It was awful. He just wasn’t a good fit for our clubhouse, and the whole situation with him at the helm was completely dysfunctional. There’s no need to go into specifics, but suffice it to say that there is a certain degree of professionalism that I think players and fans alike expect from a manager and that Bobby Valentine’s conception of that degree differed from ours. 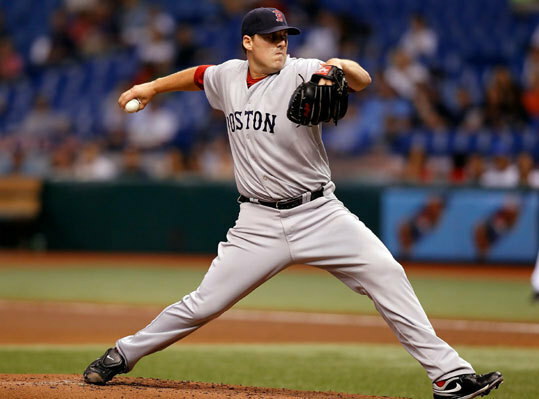 Anyway, look for John Farrell and Tim Bogar to be on the brass’s radar. Other possibilities include Torey Lovullo, former Pawtucket manager and current Jays first base coach; Joe McEwing, Other Sox bench coach; Tim Wallach, Dodgers third base coach; Brad Ausmus; and last but not least, our very own Jason Varitek. Onward and forward! Our blockbuster deal with the Dodgers is finally done. For Nick Punto, Josh Beckett, Carl Crawford, and Adrian Gonzalez, we took on Rubby De La Rosa and Jerry Sands in addition to previously acquired James Loney, Ivan De Jesus, and Allen Webster. Pedroia was nominated for the Hank Aaron Award. In other news, the Pats beat the Broncos, 31-21, last week. Alomar is officially out. Technically Lovullo is still in contention, but a second interview has yet to be scheduled, and that appears unlikely since Lamont is coming back for a second interview. And of course we have Valentine to deal with. Something of note is that Ben and the front office introduced Sveum to the brass. Ben and the front office did not introduce Valentine to the brass. The brass introduced Valentine to Ben and the front office. Obviously that says something about who’s in the driver’s seat when it comes to Valentine. Ben made some internal promotions, although obviously none to manager quite yet. 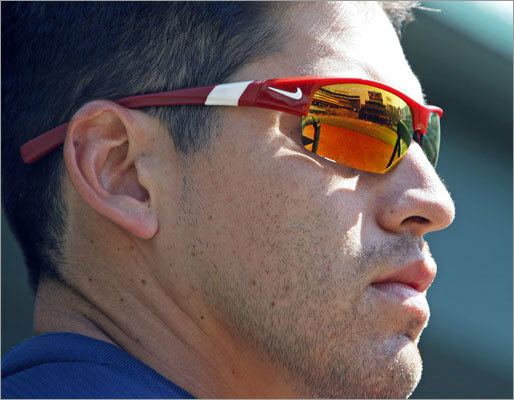 Mike Hazen, who’s run our farm system since 2006, is now Ben’s assistant GM. Brian O’Halloran, a veteran of the organization, was promoted to Assistant VP of Baseball Operations last spring and is now the other assistant GM. There were also several promotions in the departments of player personnel, Major League operations, player development, and scouting. Ben also offered arbitration to Papi and Wheeler. Justin Verlander stole Ellsbury’s MVP award. Make no mistake. Verlander may have the hardware, but Ellsbury was really the Most Valuable Player in every sense of the phrase. He was absolutely brilliant. I don’t care if the writers voted him in second place. He finished the season with a .321 average, thirty-two home runs, 105 RBIs, fifty-two walks, thirty-nine steals, and a perfect fielding percentage of 1. In fact, he hasn’t made an error since 2009. That sounds like an MVP to me. At least he was the top position player on the ballot. Major League Baseball and the Players’ Association have signed a five-year deal. It includes mandatory HGH testing, an even fifteen teams in both leagues by the 2013 season, more Wild Card teams and playoff rounds, expanded instant replay, and a worldwide draft by the 2014 season. Everything seems good to me except the playoff and Wild Card expansions, which seem iffy. The playoffs are already enormous, and the playoffs are supposed to mean something. Do I wish that we made the playoffs every single year? Absolutely. But I don’t want to increase our probability of losing and exhaustion if we do. Plus, aren’t the playoffs supposed to mean something? In other news, the Pats absolutely buried the Chiefs under their copious badness, 34-3. It was a cakewalk. The B’s had to eke out all of their wins this week. We squeaked past the Habs, 1-0, and we bested the Sabres, 4-3, in a shootout. The Red Wings snapped our winning streak at ten in a shootout, but we ended on a high note by besting the Jets. 2011 is shaping up to be the Year of the Goodbye, I guess. It’s just a lot to take in and deal with at once. I have confidence in Ben, but it just seems like he keeps adding to his workload rather than making some definitive decisions. I’m sure we’ll see those soon, but it would be nice to halt the farewell train. I think we’ve had enough. The Phillies called Paps but then seemed to agree to terms with Ryan Madson. The good news was that we could have still sign him; the bad news was that Paps was now salivating over Madson’s brand-new four-year, forty-plus-million-dollar theoretical contract. The bright side in was that he’s represented by Seth and Sam Levinson. Can you imagine if Paps of all people were represented by Scott Boras? That would be absolutely hellish. Ben made contact with Paps’s camp, but he didn’t expect them to give him any time to match an offer from another club if the offer was to Paps’s liking. And it was. Congratulations, Paps. You have just set the record for closer compensation. He has accepted an offer from the Phillies for a four-year, fifty-million-dollar deal including a fifth-year vesting option. Ben wasn’t going to match that, and the Levinsons knew it. They knew Ben’s dislike of deals for closers longer than three years, and they certainly knew Ben’s dislike for dishing out that kind of money. We may all rest assured that the only reason why Ben felt comfortable letting Paps go is that there are other options out there, and good ones. This is not me trying to justify our new leadership and make myself feel better. This is fact. Ryan Madson, Francisco Cordero, Francisco Rodriguez, Heath Bell, Joe Nathan (a risky move, but it’s been about a year since his Tommy John surgery, so this should be the time when his command returns), and, oh, yeah, Daniel Bard all make the list. Not too shabby. Not too shabby at all. Ben and I can agree on the fact that Daniel Bard probably shouldn’t be closing just yet. He was very clearly built to be one of the best closers in the game, but I personally would give it another year or two and bring in a veteran closer first. Ideally, during that year or two, Bard would see significant pitching time in the ninth inning throughout the season to groom him for that role. While the one-two punch of Bard in the eighth and a lights-out closer in the ninth would be impossible to resist, when the time comes we’ll face the choice of having to find a reliable set-up man, which arguably may be more difficult, or having to let Bard walk away. One could make the case that we’re seeing something like Bard walking away now with Paps. Quite frankly, I don’t like it, and I don’t want to do it more than once. Regarding Bard specifically, you don’t let a one-hundred-mile-per-hour fastball walk out that door. You just don’t. What will infuriate me is if Ben feels compelled to offer more than three years to one of these other closers because Paps basically just revolutionized the closer market overnight. If other teams will be ready to provide that fourth year, Ben will be out of luck. All the reports of drama and all the rebuilding to be done this year aren’t exactly helping our cause; Paps is eager to go to the Phillies for several reasons, not the least of which I imagine is that, if you thought he wreaked havoc on AL hitters, he’s going to be the prophet of pitching in the NL, and it looks like the Phillies are a team that could potentially win, despite the fact that everyone said that about them, just as they were saying it about us, earlier this year only to watch them flame out in the playoffs. Paps started his career here. He came up through our system and even won a cow-milking contest when he was with the Lowell Spinners. He played our game both on and off the field because his personality was one-of-a-kind. He was always a dependable notable quotable, but it was much more than that. He was a leader and a force in the clubhouse. He was crazy and insane, but only in the best of ways. He was a Boston baseball guy. He lived the baseball experience here, embraced it wholly, and took it to the absolute extreme. He did the jig en route to the championship and redefined “I’m Shipping Up To Boston” by The Dropkick Murphys. I don’t think he’ll have as much fun anywhere else as he did here. Seriously, all you had to do was hear those two drumbeats that start the song in the eighth or ninth inning and you know that you can sit back, relax, and enjoy the winning that will obviously ensue with Paps on the mound. Granted, it technically wasn’t always like that. He did blow his share of saves. He didn’t blow many, but it seemed like most of the ones he blew were doozies indeed. He was immediately responsible for our untimely exit from the ’09 playoffs; he blew his save in Game Three of the ALDS, and that was the last playoff game we were in. And he struggled in 2010 with eight blown saves. But looking at the big picture, he more than made up for it. He attacked the closing job with remarkable intensity; that stare of his could strike fear into the heart of any hitter. In his career, he has an ERA of 2.33 and a WHIP of 1.02. He’s amassed 219 saves and posted 509 strikeouts in 429.1 innings. He’s blown a grand total of only twenty-nine saves, and only three of those came during this past season, compared to thirty-one converted opportunities. And I don’t think any one of us will ever forget Tek jumping into his arms after he closed out Game Four of the 2007 World Series in Denver. Not once in our long and illustrious history had we ever had a mainstay closer as long as we had Paps. He was the best we’d ever seen, and he’s still in his prime. So here’s to you. Here’s to everything you’ve done for us through the years, both the much-needed saves and the much-needed smiles. Here’s to you as a player and as a person, a goofy closer who still showed remarkable leadership in the clubhouse. Here’s an enormous understatement: we’re going to miss you, Paps, and it’s been ridiculously fun. Ben has also been in contact with the camps of Papi, Wake, and Tek. I don’t think that I’d be able to watch any of those guys playing for another team. It would be too surreal. Like I said, one is quite enough, thank you. Supposedly we’re interested in a two-year deal with Carlos Beltran. He’s made it clear that he only wants to play in the National League and that he refuses to DH, but we’ve been attached to Beltran in the media for a long time. But wait; the plot thickens. We haven’t even called Beltran yet; instead, we’ve called Grady Sizemore and Michael Cuddyer. There are also rumors that we’re interested in Mark Buehrle. This is the first time in his career that he’s a free agent, and competition for him is stiff. Supposedly we were also on hand to observe the workout of Yoenis Cespedes, who defected from Cuba to the Dominican Republic. Supposedly he’s amazing, and he’s going to set off a major cash fight. Think Aroldis Chapman. Mike Maddux has withdrawn his candidacy due to “personal reasons.” That’s in quotes because he’s still on the Cubs’ list. Obviously. This should not surprise anybody. We added Blue Jays first base coach Torey Lovullo and Detroit third base coach Gene Lamont. If the names sound familiar, that’s because they are. Lovullo manage the PawSox before going to Toronto, and Lamont was our third base coach in 2001. And that, supposedly, is going to be it for candidates. Our list and the Cubs’ list share three candidates: Alomar, Mackanin, and Sveum. I think it’s fairly obvious that Maddux is going to Chicago. Incidentally, throughout this process, I’ve been having this thought: Theo’s relationship with Larry was shaky but ultimately productive. It was shaky because Theo basically wanted his own job plus Larry’s job. He wanted more control over baseball operations; he didn’t want to be just the general manager, which is why he’s not the Cubs’ general manager. Theo brought in Jed Hoyer to be the Cubs’ general manager, and it will be interesting to see if Theo actually restricts himself to his higher role and doesn’t conduct himself with Hoyer the same way that Larry conducted himself with Theo. If he doesn’t, Hoyer may take issue. Oh, the potential irony. Gonzalez will appear on the cover of this “MLB 12 The Show.” Pedroia did it in 2009. Heady company. On Wednesday, MLB Network aired a two-hour special on the Buckner game. John McNamara insists that, after the seventh inning, Roger Clemens told him that he was done because of a cut on his finger; Clemens maintains that McNamara pinch-hit for him and the cut on his finger was not an obstruction to continuing to perform. Whatever it was that really happened destroyed their relationship. McNamara also stated that he went with Buckner, who was obviously not fit to field, because he was the best first baseman on the roster; he didn’t go with Dave Stapleton because he supposedly had earned the nickname “Shaky.” But Bruce Hurst said that he never heard anyone call Stapleton shaky. Honestly, the whole thing was just the epitome of devastation, drama or no drama, and what I would personally like to avoid is similar devastation in the future and similar subsequent drama. Tito is interviewing with the Cards. Jerry Remy was surprised; he, and I think most of us, naturally assumed that Tito would take some time off before jumping right back into it. In other news, the Pats dropped a very close one to the Giants, 24-20. Oh, and we released Albert Haynesworth. It’s not like we all didn’t see that coming when the signing was made. The B’s played the Islanders, Oilers, and Sabres this week and beat all of them by almost the exact same score: the Isles and Sabres by 6-2 and the Oilers by 6-3. Congratulations to Beltre for winning a Silver Slugger! He most definitely deserved it. I wish I could say the same for Vlad Guerrero, who won it instead of Big Papi, which is ridiculous. Guerrero hit .300 with twenty-nine homers, 115 RBIs, and a slugging percentage of .496. Sounds great. Until you consider the fact that he only hit nine homers after the All-Star break and posted a measly OPS of .748. Papi hit thirty-two homers and posted a slugging percentage of .529 and OPS of .899. Notice that all of Papi’s numbers are higher than Vlad’s. Theoretically, this should result in his fifth Silver Slugger at DH, but for some absurd and unknown reason, it didn’t. 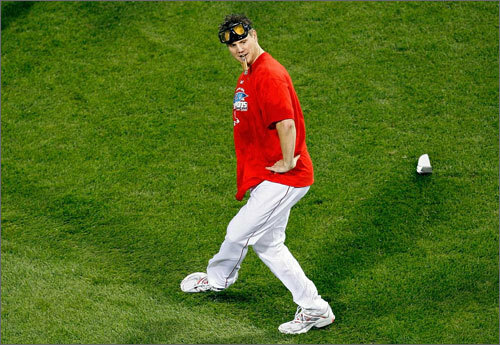 He and Josh Beckett can commiserate this offseason, because that’s just not right. Pedroia’s rehab is progressing ahead of schedule. I’m not surprised by that. I am relieved, not just for the team and for Red Sox Nation but also for Pedroia, who’s been itching to play for months now. Ladies and gentlemen, the stove is finally starting to heat up. Finally. We have confirmed official contact with Werth’s agent. We are supposedly interested in Zack Greinke and Justin Duchsherer. We have statements from Theo about his commitment to re-sign Beltre and V-Mart, with the obvious emphasis on V-Mart. Meanwhile, Peter Gammons is convinced that Theo is going to move on without V-Mart because he says the Sox are sure Salty can handle the job. I’m going to take Theo’s word on this instead. Perhaps the ultimate free agent, or at least the one everyone’s talking about these days, is Cliff Lee. Everyone thought Lee is going to be a Yankee for sure. Nothing would please me less, but I don’t think that’s as likely as people think. He’s thirty-two years old, and if New York decides to give him a Sabathia-like contract with heaps of money and, less intelligently, heaps of years, I will lose negative respect for their organization, because trust me, there isn’t any there to begin with now. My next guess would be the Angels, but they’ve already set their sights on Carl Crawford, although that could change since the Giants proved that, yes, you can win with pitching. (Which only confirms the fact that we’re going to win the World Series this year, by the way. Just sayin’.) Detroit could be an option since they’ve made payroll room. The most likely competitor for New York right now appears to be the Rangers, who are in hot pursuit, and offers could come in from the Phillies and Brewers as well. The Mets won’t spend this offseason, the Cubs want youth, the Reds are in the process of offering Arroyo an extension, and I’m so sorry to say this, but I don’t think we’re going to be in the mix for this one. A sizeable chunk of our payroll is currently devoted to our starting rotation, and on top of that we just don’t have the space for Lee right now. So it makes sense to leave him alone. Otherwise, we basically wouldn’t be able to do anything else. Lee is absolutely awesome, so again, it hurts to say so, but we’re making the right move here. An interesting question to ask is whether the acquisition of Lackey kept us from Lee. I think the answer would have to be yes, but I think we’ll get more bang for our buck with Lackey than we would have with Lee. Lackey is a competitive workhorse. He absorbs innings like a sponge. We need a guy like that in there, especially if we’ve got another guy on whom you can’t necessarily depend to go deep. (That would be Dice-K.) Lackey complements that, and that way the bullpen knows it’s going to have a light night for each overtime it works. Depending on how this season goes, I’d be ready to say we made the right decision. That’s the key right there. Lee is a competitive workhorse too, and he also absorbs innings like a sponge. But he won’t be absorbing anyone’s innings like anything unless they’re ready to fork over substantial coin and years. Provided that my predictions about Lackey returning to top form his sophomore season come true, Lackey is the better option because he’ll probably end up being cheaper than both. I have a feeling that Lee’s next contract is going to be huge. So Lackey gives us more flexibility that way. Sure, Lee arguably would be better, but like I said, if Lackey is back to his stellar self as of now, the difference in quality won’t be that large; meanwhile, we spend less money and don’t have to commit the better part of an entire decade. We traded Dustin Richardson to the Marlins for Andrew Miller. The Jays just hired PawSox manager Torey Lovullo as their new first base coach. Our minor league infield coordinator, Gary DiSarcina, is now the assistant to the Angels’ general manager. DeMarlo Hale will interview with the Mets for their managerial position. The disadvantage of having a top-flight staff is that everyone wants a piece. Hopefully for us, this goes nowhere. In a spectacular combination of divine intervention and rational thought, ESPN will not renew the contracts of Jon Miller and Joe Morgan. Oh, happy day. Twenty-one years of suffering through commentary that was anything but insightful and unbiased is officially over. Dan Shulman will replace Miller. At this point, anything is an improvement. In other news, the Bruins started the week with a victory over the Penguins, 7-4. Seven goals in a single game. Wow. Then we just had to lose to the Habs, 3-1. Yesterday’s game didn’t bode too well either; the Sens shut us out, 2-0. Those were not the same Senators we shut out, 4-0. That was a completely different team. On behalf of Bruins fans everywhere, I’d like to extend condolences to the family of Pat Burns, who coached us in the late ’90s. Last Sunday, the Pats delivered one of the absolute worst performances I have ever had the misfortune of seeing. We lost, 34-14, to none other than the Cleveland Browns. The Cleveland Browns! I was seeing Super Bowl glory, and then all of a sudden we lost by twenty points to the Cleveland Browns? To make matters worse, Stephen Gostkowski will probably be out for two games with a quad strain. The only silver lining I can possibly muster in this situation is that the Pats have a tendency to bounce back from big losses in a big way. Right on time for us to play the Steelers in Pittsburgh.